MTL offers an exceptional program of consignment tray and tower internal hardware to support your turnaround. Hardware lockers or trailers will be there when you need them and will be stocked with the parts required to assist in making your maintenance project a success. assemblies for most domestic and imported trays. 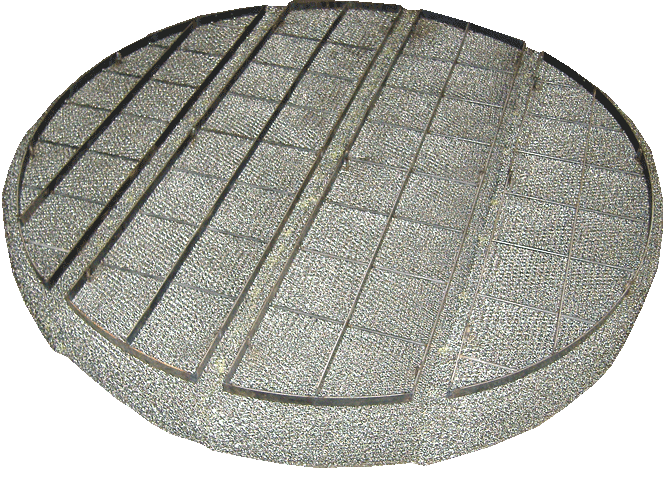 Our specialty is manufacturing knitted wire mesh and vane mist eliminators. Regardless of the OEM, we can manufacture most kinds in any type of metallurgy from Carbon Steel to Hastelloy B-3, as well as most polymers without sacrificing reliability or quality. Whether a mist eliminator or a coalescer, you can be certain MTL will be there to get the job done. We are the only company in the industry that offers true replacement-in-kind service regardless of the OEM. We can provide you an exact duplicate of your part built to your specifications, dimensions, and material requirements. MTL strongly believes, by making each “customer a priority” and delivering a quality, cost-effective and reliable solution to all their needs. This will be the catalyst to its prosperity and sustainable growth in the mass-transfer technology arena. 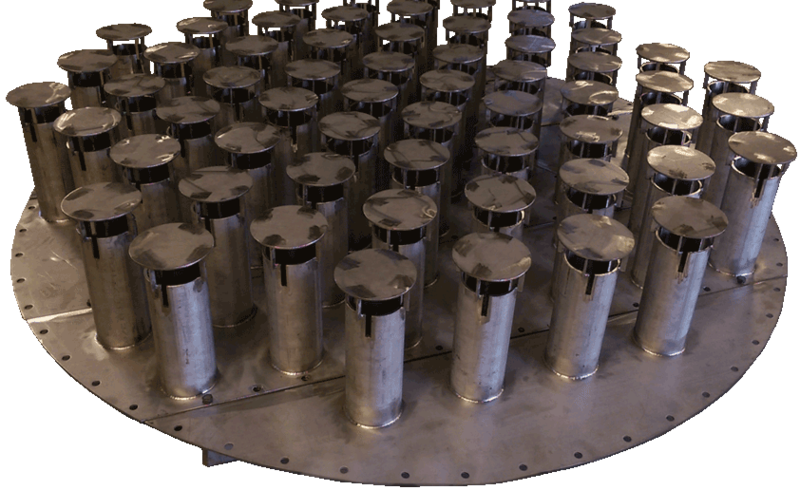 MTL manufactures a full line of “Fractionation trays”. To include complete tray replacement, tray parts and associated specialty hardware. 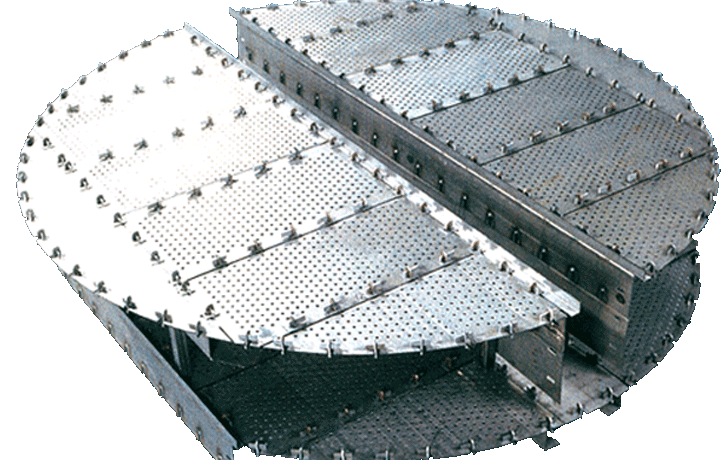 Standard tray fabrication includes sieve, valve, bubble-cap and specialty tray applications. MTL offers manufacturing in most all types of metallurgy without sacrificing reliability or quality. This includes our “consignment hardware”. On-site when you need it with the correct materials stocked to get the job done on time, every time. MTL specializes in manufacturing of knitted mesh “mist eliminators”, vane units and various separators. Whether direct replacement or design, regardless of OEM, most types of mist eliminators can be offered in a wide variety of metallurgies, polymers and co-knit applications. the true measure of success. With decades of process experience in mass-transfer technology to the refining and petrochemical marketplace. MTL will provide the correct replacement product or help design the right product for your specific needs. Our philosophy in turn will help us to better serve our customer’s needs in the future and continue to provide a safe, challenging and rewarding environment for our greatest asset, our employees.